The World Transplant Games Federation entered a new era this month with the public launch of its Fit for Life! Global Initiative. The mantra of Fit for Life! is ‘more recipients, more active, more often’. It is a program to encourage transplant recipients across the globe to lead active lives post-transplant. On Saturday, November 5, 12 new Fit for Life! Ambassadors were introduced to a record sell-out crowd of 62,500 people at a rugby match between Ireland and the New Zealand All Blacks at Soldier Field, Chicago. The ambassadors came from all over the world and represented heart, lung, kidney, liver, pancreas and bone marrow recipients. WTGF President Chris Thomas said all the recipients shared several common traits of having successfully returned to a healthy and active life and of being positive at all times. “The Federation couldn’t be happier with our first 12 ambassadors. Wonderful diversity, brilliant role models, recipients dedicated to ensuring they remain fit and healthy around their most precious gift,” Mr Thomas said. The Fit for Life! 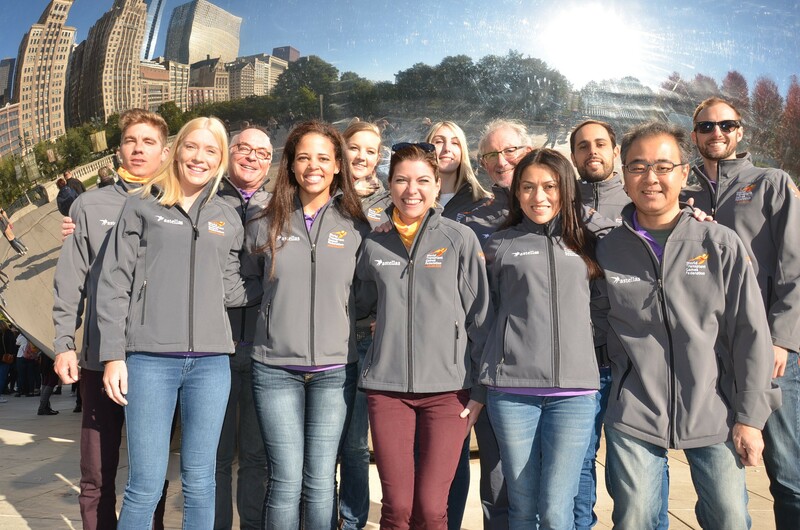 Initiative is supported by Astellas Pharma which made the weekend in Chicago possible. “The Federation is proud of our partnership with Astellas. They play a vital role in the ongoing treatment of transplant recipients through immuno-suppression. This ensures that recipients do not reject their organ,” Mr Thomas said. The Federation was also pleased that the promotion of organ donation featured so prominently during the match. Mr Thomas said it was vital that all WTGF activities contributed to spreading the message that organ donation saves lives. “We are hoping that the lives and stories of these ambassadors shows the wider community that there are recipients out there living a wonderful life and being respectful of their gift,” Mr Thomas said. Please visit www.wtgf.org to learn more about Fit for Life! and the Fit for Life! Ambassadors program. The World Transplant Games Federation unites transplant recipients from across the world to promote the success of organ and tissue donation and life-saving transplantation. With more than 70 member countries, the WTGF stages the world’s largest awareness event for transplantation, the Summer World Games, to inspire the public to consider organ and tissue donation. The WTGF also inspires recipients to rehabilitate following their transplant and keep fit and healthy in their ongoing life journey.